You’ve decided you’re going to self-study Spanish…and you may have just learned your first new word. These can be heady times, the first few days when you decide to take on a new project. Motivation is coursing through your veins. You’re going to self-study Spanish and you’re going to do it like a boss. You absolutely are. But self-studying a new language requires a bit more than that initial rush of intention. To ensure your success when you’re six weeks or six months into your studies, you need to have the right resources, a good curriculum and a strong but workable schedule. Don’t worry. We have tips for you on all these topics. But first, let’s look at your motivation and why it’s a good idea to self-study Spanish. It’s convenient—there’s no need to go to classes. By the time you’ve gathered your study gear and taken the time to get to class, you could have crammed in at least 30 minutes of study time, if not longer. A self-study course is both convenient and efficient. It’s cheaper. Sure, you’ll want to buy a few textbooks and download a few apps if you’re going to study by yourself, but the cost is still going to be cheaper than paying for formal classes. You have flexibility. Trying to locate a couple of hours at the same time each week is difficult when we’re already over-committed (and aren’t we all?). Setting your own schedule, you can fit your Spanish “classes” in whenever it suits you. You can go at your own pace. Whether you’re outpacing everyone else or taking a bit longer to pick things up, being in a class, your study pace is going to be tempered by those around you. Studying on your own, you can go as fast or slow as you need to really get to know the language. You can focus on the topics most important to you. Don’t care about pets? Lack siblings? Want to get into the details of business Spanish? By creating your own curriculum, you can focus on what you want to learn first instead of having to slog through learning a bunch of specific phrases that you’ll never use. It’s tempting to jump straight into a new project and that impulse will move you forward…but only so far. Instead, if you take the time to gather the right essentials, plan a curriculum and devise a robust but workable schedule, you’ll be much better set-up to start your studies. Plus, you won’t find yourself scratching around for resources or what to do next when your initial study impulse wears off. A good start is to gather together a “study Spanish kit.” It doesn’t need to take a lot of time (a few days of research should be plenty) nor does it need to cost a lot (check out second-hand books and the many free resources online). Here are the main essentials to put into your kit. Okay, duh. This might be obvious, but never underestimate the power of a shiny new notebook and freshly-sharpened pencils to motivate you. Tip: Consider getting a notebook with subject dividers so you can separate out your grammar, vocabulary and study topics. It’ll help when you open it up to revise. Also, having a separate scribble pad for taking notes/tests can help to keep your main notebook more readable. It’s worth investing in at least one textbook. Tip: If you’re buying second-hand, make sure the book is unmarked—you don’t want to get confused by someone else’s notes. Go into a bookstore or use the Amazon preview function to read through the book and check that the layout is easy to follow and works for you. With Google Translate being smart enough that it can now read images and myriad other dictionary and translation apps out there, you might think there’s no need for a hard copy dictionary. However, it’s worth getting ahold of at least one. Larger reference dictionaries will have a more extensive range of words while pocket-sized dictionaries are great for shoving in a bag, easy to flip through and never run out of battery when you’re about to order that mystery meat in a restaurant! Merriam-Webster’s “Pocket Spanish-English Dictionary” is compact with over 40,000 entries. 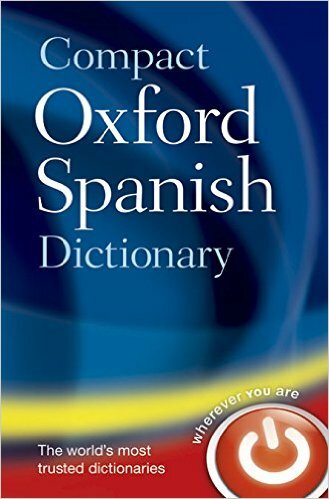 If you’re looking for something more extensive, the “Compact Oxford Spanish Dictionary” has a clear layout and over 90,000 words/phrases. Picture dictionaries can also be incredibly useful when you’re starting out. Verb conjugation—sadly there’s no escaping it. Regardless of how you study best, verb tables (for learning) and verb drills (for practicing) are an essential part of self-studying Spanish. 123TeachMe has over 10,000 words online with an easy-to-follow format for their verb tables. ¡Es fácil! lets you practice word drills either by choosing to conjugate complete tenses or a random list. There are plenty of tips available online for grammar in general, but you’d do well to supplement your learning with a dedicated Spanish grammar book. It’s important to pick one that works for you. Tip: Learning grammar is one of the more structured parts of learning Spanish. However, if you do decide to use online resources, following the units from our BLOG is a good place to start. Without a teacher to guide you through your Spanish studies, your next best bet is an online course. There are almost too many to choose between, each catering to a different study style and all at vastly different price points from free up to hundreds of dollars for a complete course. The only real way to go is to try a few out and see how they work for you. 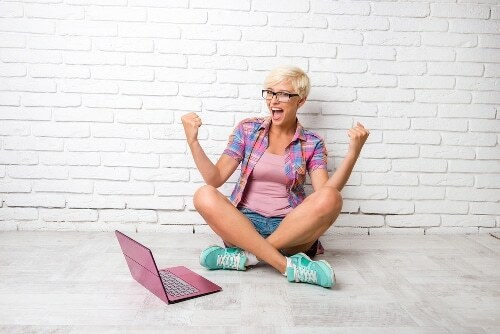 The free courses are easy to trial, but even paid courses will often let you download a demo version or allow you a trial time period during which you can still get your money back. “Immersive,” with little to no English involved? A mix of English and Spanish? For example, the BBC’s Mi Vida Loca is a playful and interactive course with a mix of Spanish and English. Different styles of courses work for different people, so try a range until you find the one for you. But, once you commit, try to stick to that course. Jumping around will slide your studies backwards. One of the hardest things to pick up when you’re studying a new language is the pronunciation. Without formal classes or living in a Spanish-speaking country, you’re going to have to make a bit more effort. That’s where audio becomes an essential part of your learning program. Most online dictionaries have a pronunciation function, which is great, but to get used to the speed of real speech and pronunciation of entire sentences, you’re going to want more than just a dictionary. The good news is that there’s a lot of material at your disposal and a lot of it is free. You can try listening to the radio, downloading podcasts, watching telenovelas (for the addictive drama as much as the audio!) and listening to audiobooks. Apps intended for specific purposes can be great at supplementing any self-study course. From dictionaries to games to translation tools, if you can think of it, there’s likely to be an app for it. Many offer a “lite” version, so you can try them out before committing to the more advanced/paid version. If you’re looking for a dictionary or translation app, there are plenty to choose between. Try finding one that has a “word a day” function to keep you motivated as well as one that pronounces the Spanish for you. SpanishDict does both those things as well as having some fun games to play. Best of all, it’s free—available on Android and iPhone. Tip: It’s too easy to hit the download button and end up with an incremental but substantial bill. Do your research before you buy paid apps. Speech is the remaining element you’ll need for your self-study Spanish course, and fortunately there are plenty of ways you can practice speaking Spanish for free, without formal classes. Meetup is a great option if you want to chat with people face-to-face. There’s every chance there’s a group that meets regularly near you (and if there isn’t, why not start one?). 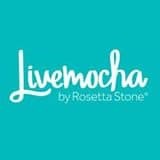 Otherwise, Livemocha is a free resource that has an extensive community of Spanish speakers looking to do a language exchange. Tip: Don’t just use your community for speech practice—use them to motivate you and give them permission to challenge you when you slack off! It’s tempting to assume that the more expensive a software package or textbook is, the better it is. However, there are lots of excellent free and reasonably-priced resources online. The results you get will depend on whether you select the kind of course/material that suits how you learn best, not how much you spend. So read reviews, take advantage of trial periods and play around with free options before making any big financial commitments. With your Spanish-studying toolkit in hand, you’re ready to start…but where and how should you begin? Without a tutor to plan what you’re going to study each week, it’s easy to get overwhelmed! The solution is to design yourself a curriculum. Here’s how. There isn’t any right order to study Spanish, but you should definitely start with the easier concepts first. Before you pick up a textbook or explore any online courses, it should be pretty easy to come up with a list of the things you need to learn. (Hint: It’s the stuff you say every day in your own language as well as some of the more basic grammar that is fundamental to your speech). Low numbers: Start with 1-10, and then add 10 more each lesson or week. Basic grammar: Look at the Spanish equivalents of nouns, articles, adjectives, pronouns and verbs you use most commonly. Ordering in a restaurant, and food and drink. Communicating (using email, making calls). Regardless of which online course you eventually use to study with (if any at all), they’re a great resource for guiding you through what you should learn in the right order. Tip: The “get new lessons” section of Livemocha gives a nice chunked-down syllabus you could follow (you need to sign up for an account to access this area, but it’s free to sign up). The online book world has given self-study students a lot of support. Textbooks are usually broken down into handy sections, walking you through topics in a way that builds your knowledge gradually. Both Amazon and Google have tools for looking inside the table of contents pages of Spanish study books, which can give you ideas for building a curriculum. 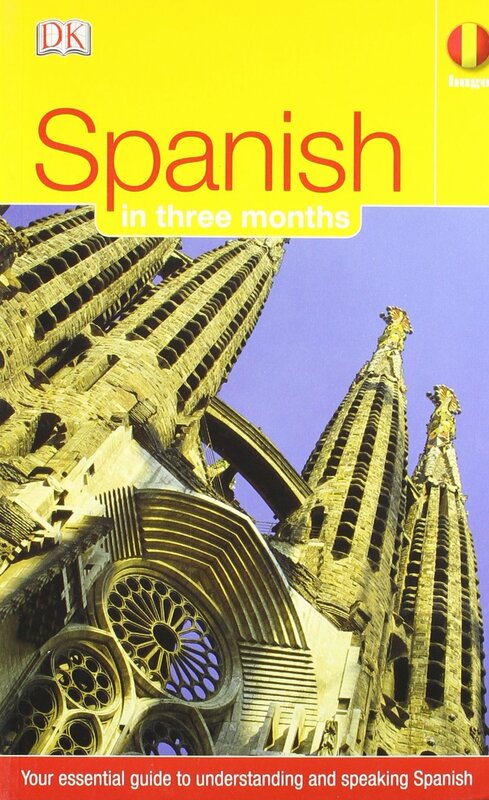 Tip: The content page of this “Spanish in Three Months” textbook on Amazon gives you a breakdown of what to learn and even tells you which week you should learn it in. If there was a local course you were considering, but decided against it, you can still benefit by checking the course details online. Some schools and colleges will list their schedule of study for the period of the course—a great help for creating a structure for your studies. Searching for evening classes will give you a broad outline of what’s covered in a short beginner course and some course curriculums will even set out their study kit suggestions. Tip: If the curriculum isn’t online, try emailing the college to see if they will send you a copy. Just don’t get too pushy if you don’t intend to sign up! We’ve all experienced that moment when the initial excitement about starting a new course wears off. If you don’t want to be a quitter, one of the best ways to ensure you don’t pack up your pens after a few weeks is to create a study schedule. By knowing what you have to do and when, you’re more likely to gather momentum—and as Newton discovered, what is in motion stays in motion. Get into a study routine. Although flexibility is a benefit of self-studying Spanish, if you can commit to a certain number of hours at dedicated times each week, your study becomes as routine as brushing your teeth and before long, you’ll sit down to study without even thinking about it. In the early stages, an app like Way of Life can act as a good prompt while you build your study habit. Don’t overcommit. “I’m going to study 4 hours a day, 6 on weekends, and be fluent within 3 weeks.” Grand plans are all well and good, but if they’re not sustainable, you’re going to fail pretty quickly. Instead, have a realistic look at your life: Write a schedule of what you do currently and note where you have any gaps or could make a gap (do you really need to watch that episode of “Game of Thrones” right now?). By using time that is actually available to you, you’re less likely to overcommit. Be prepared for when you lose momentum. At some stage, you’re bound to lose momentum. If this happens, make a list of why you’ve stopped studying. If your schedule is too busy, revise it. If you’re bored by your course, see if there’s a more exciting alternative: Is there something you can do outside your curriculum that’s still taking you forward (like watching TV)? If you need to take a break, take one, but commit to a date to return to your studies and be sure to start where you left off (not back at the beginning). Recruit friends/make a commitment. Making a formal commitment to another person often makes it harder to break away from doing what you promised. Entire websites have been born from this concept (like stikK). 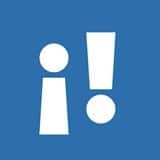 Recruit friends to help, get your online Spanish-speaking community to hold you accountable or make a commitment contract online—because there’s nothing like a bit of guilt to act as a stick when the carrot’s no longer working. Self-studying Spanish can be a rewarding process that gets you closer to your language learning goals, and with the right tools, curriculum, schedule and a bit of grit, you’ll be hablando español (speaking Spanish) in no time at all! If you like our post please Share it!